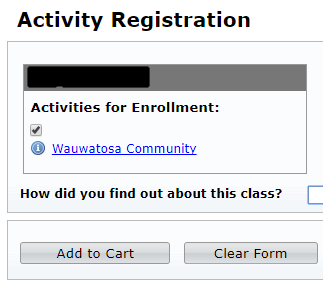 The Wauwatosa Rec Department online system can be a bit challenging. Here are instructions to help you get signed up so you can send membership payments online. Special thanks to Jennifer for creating this tutorial! Click on the “Read More” link to see the full tutorial. 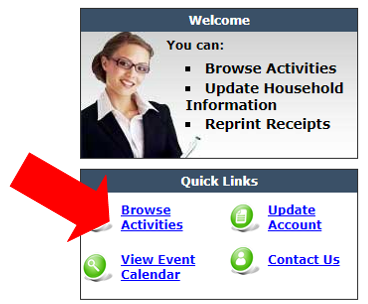 To get an account, click the link in the picture below and fill out the Household ID Request form. 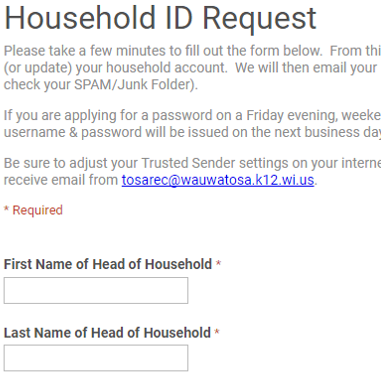 When you’re finished with the Household ID Request form, click Submit at the bottom. It will take about 1 business day for the rec department to send you a username and password. Once you have your username and password, return to: https://register.tosarec.com/ and sign in with the credentials you received. Alternatively you can choose Wauwatosa Community Band from the TYPE box. Click Enroll Now (at the bottom of the screen). Checkmark the box under the person/people registering. Verify/enter your correct contact information. The countdown begins. You have 35 minutes to complete the Credit Card form next. The card details are hiding in the middle, don’t miss them! 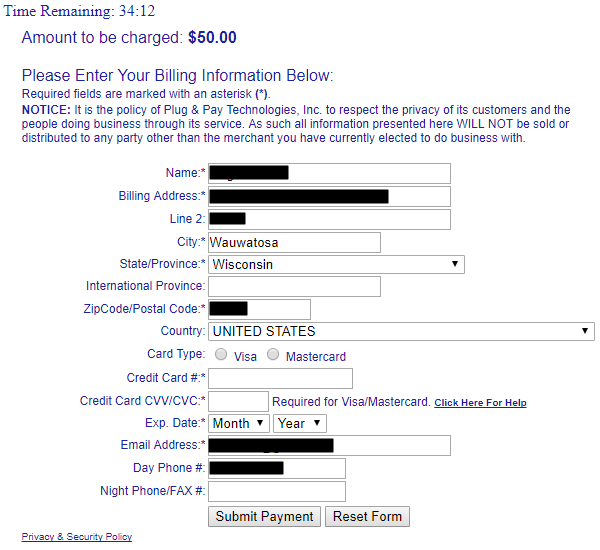 Then click “Submit Payment”. 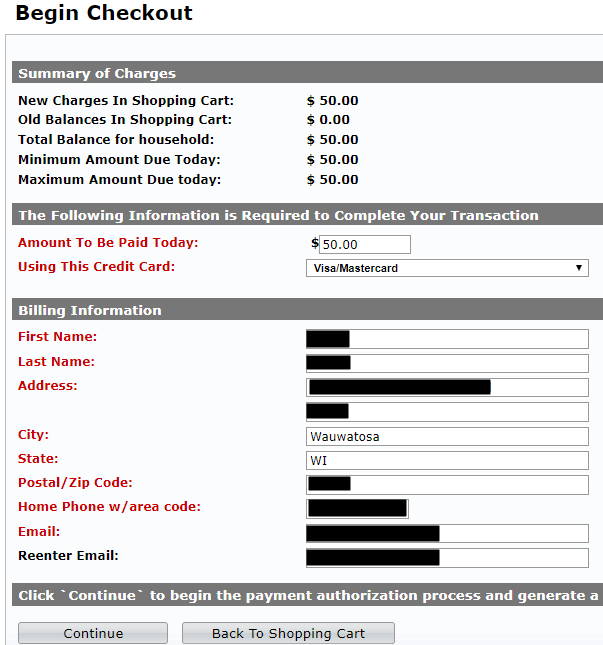 And… if all goes well, the confirmation screen. They also send a receipt to your email.